Tim's music has helped me through a divorce and a broken heart, but more importantly I've found happiness and joy in his music and it gave me strength to carry on. Thank you Tim for all that you gave me. Much love! 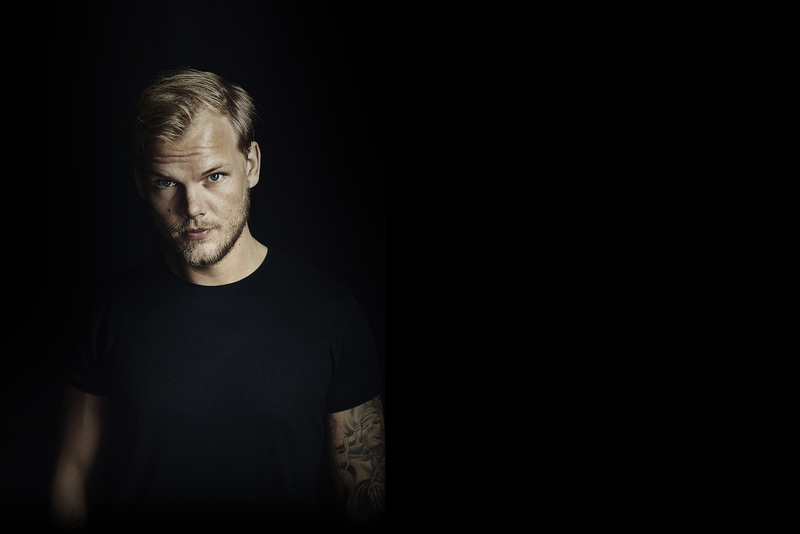 Avicii is a person who's changed my life. Because of him i decided writing music and i dreamed that once we will meet... R.I.P.. I don’t know where to begin.. I don’t know where I’d be if I never discovered you years back. Your music changed my life for the better. Whenever I was lost, alone, or falling apart, I could always find comfort in your songs. Somehow you guided me and made me see the light at the end of the tunnel. I wish you could’ve seen the same light. There’s no way we could repay you for everything you’ve done for us. I will forever be greatful for you Tim. We all miss you and hope you Rest In Peace. I was just sitting here listening to music and one of his songs came on. I just started bawling. Tim, we miss you so much. Thank you for your beautiful music. I don't normally post things like this....I guess I am finding myself here to relieve some of the heartache I have been feeling. Especially having watched your documentary on Netflix. It's strange, I have never met you and yet I feel such heartache. It seems that I am not the only person mourning your missing presence in this world. I hope that you have found your peace and I am so sad that you had to go so soon. I wish we could have been friends and I could have stopped you on that tragic day. First. And last time I saw your show was during the first year of paradiso at the gorge. After watching the documentary about your life on Netflix, it brought me to tears. Thank you for your beautiful music! Once i was thinking... can u imagine someone that can hate avicii? I was thinking that he was kind of a person which everyone around the world can easily say ''i love this guy'' :/ I was wondering why did u gone... and a old friend told me ''If u could choose a draw in a huge box, what would you choose?'' and i just said ''the best one'' and now i know that the best was chosen I will always remember you, my friend. Your music will live on forever. Thank you Avicii. You have captured many people's hearts, and that hasn't stopped till date. Frankly, it won't. Tus mensajes en tus canciones, siempre los voy a recordar. Gracias por tanto! Love your music! I first heard Levels on a trip to Europe! You were transformative and wish I could have seen you live! Thanks brother! Tim, Everytime I listen to your music I now get a lump in my throat. I remember when i first listened to seek bromance and i was like this is good and that's when I knew I loved your music and continued to listen. What a talent you are! you are incredible, your music has helped me through the toughest times and my happiest times and I thank you for that. You will be forever missed. Cariad Mawr.! Avicii, your music brought pure joy and happiness into my life. I could feel the words of your songs and get lost in the sounds. I remember showing up 3 hours early to your show in Ibiza so I could be in the front and seeing you for the first time in Ibiza was one of the most special moments. You are a true musical genius. You will forever be missed. Cher Tim, Je n'oublierais jamais ce vendredi 14 février 2014 à Bercy, c'était énorme, j'ai adoré ton style,ta musique,ta discrétion et quel spectacle !!! Ouah merci pour ce moment mais Tim tu nous manques terriblement,repose en paix et saches que tu nous as laissé quelque chose d'immortel .........................ta musique................and now I am addicted to you !!! Ma meilleure amie et moi avons de nombreuses chansons avec Avicii qui nous font penser à nos plus beaux moment dans la vie ! Avicii nous a toujours mis d'accord ! Nous sommes liées grâce à sa musique ! Tim repose en paix ! Beautiful artist, rest in peace <3. I am saddened by your absence in this world, & I am pained to think you carried a burden that led to yourself ending your life. I hope your family could find a place in their heart for peace. your music is timeless and allows me to re-live the best experiences of my life ever single time I listen to your songs; your music allows me to access a part of my emotions that nothing else has the power to access - it allows me to feel the deepest parts of my souls. may your spirit be at rest. С Душою сделаны композиции. Этим и пленился. В оригинале многие песни и исполнители были мимо, в его интерпретации слушаю по кругу. Резануло по сердцу печальное известие... Частичка его всегда звучит в эфире, средь нас. Run Forest Run! I've run around hundreds of kilometers with your music in my ears, dreaming, thinking and laughing, through the forests, streets for a better future. Thank you Avicii. Good bye. Tim, you gave us music enchanting us with the energy to let everything go and just focus on having the best time we could in the now, the nights we will remember. You made an historic imprint on a whole generation, and spoke to us young people in our own language, you affected our lives. You made us happy. Now we'll have to learn how to love without you. Rest in peace. Thank you for the amazing memories, and the happiness you brought to each one of us,may you Rest In Peace brother,WE LOVE YOU! Cuando tenía 9 años, todos los veranos me hiba de viaje con mi familia y amigos a la playa, y casi siempre organizaban una fiesta. Yo ponía 'I Could Be The One' de fondo. Luego cuando terminaban las vacaciones, escuchaba sus Álbums completos mientras hiba en la camioneta mientras miraba por la ventana las gotas de la lluvia caer. Luego de unos años, mi vida se llenó de problemas. Lo único que me mantenía en pie eran las canciones de Avicii, aveces me sentaba con mi abuela a escuchar 'Stories'. Dear Tim, I am just one of millions of your fans yet I am so affected by your passing.. your music has given me the best days of my life. And for that I thank you. I am typing this as I sing along to your songs. You have gone in peace but will never be forgotten. Your memory lives on. love you. I promised to write here every month and here I am again. I hope you are having a better life where you are now. The life I have lived was not nearly the same as tim went through but mine was a lot of difference between us but the music I have heard up to now was great to listen to those type of music that was created it amazing to hear. Min vackra Tim.. månaderna går och jag känner mig fortfarande helt tom utan dig. Det känns så ensamt. Så jobbigt. Men jag minns dig av hela mitt hjärta och det kommer jag alltid göra lika mycket som jag älskar dig och kommer alltid göra. Du är så saknad av så många. Tills vi ses igen, vila i frid min älskade ängel. Hey Brother and Wake me Up are two musical pieces that touch my heart whenever I listen to them. That the world lost such a musical genius at such a young age is a tragedy. I wish something could have been done to prevent him from leaving so early. Hi, I’m from South Dakota, USA. I first listened to Avicii for his 2012 Ultra Performance, and was blown away! He was apart of my healing listening to Levels Album. I wish I could’ve met him to thank him for contributing to the soundtrack to my life; prior to his passing my mother had passed away a month before, and we listened to his set for Ultra 2012 while she was in the ICU. I hope he continues to help others like he did me, from beyond. Thank you so much Tim, for saving my life. Peace/Love. Numerous shows through various parts of the U.S were absolutely amazing. Helped me bring friends and loved ones closer together. Your genius will be beloved forever, and helped us grow up with love. Rest In Peace, a true musical genius. still very much missing him! I wish I could have told you to slow down brother. Tack för din rytm. Tim, I so very much miss your music. It always filled me with joy and I could listen to it repeatedly and still go crazy about it. Your contribution to music meant a lot to the world. Ο Θεός να σε αναπαυσει. I'll always remember your gig in Sankt Goarshausen back in 2014.